Talon Waite over at the USR Google+ page asked for the Ghostbusters (the 1984 “boys” and 2016 “girls”) with his new Ghostbusters USR rules. I have the old West End Games d6 system box set, except for the box itself, and the dice: it has the rulebooks and the flimsy, perforated cards for items and “character sheets.” They’re all in a brown paper bag from my FLGS. Yep, I don’t have the game box. The cards are still perfectly playable, and I used them for inspiration for the USR characters. 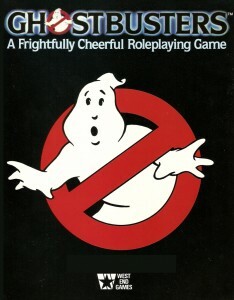 These stick to the rules in Ghostbusters USR (including 5 health and 3 Brownie Points each).